A woman arrested on suspicion of breaching the Official Secrets Act has been released pending further investigation, police said. 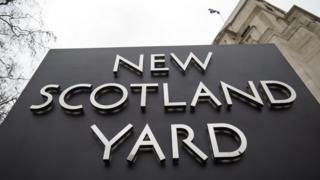 She was arrested by counter-terrorism officers on Wednesday in north London under the Police and Criminal Evidence Act, Scotland Yard said. A property in north London has been searched as part of the investigation. It is not known which government department she was working for as a contractor. BBC home affairs correspondent Daniel Sandford said the fact the woman was held under Section 1 of the Official Secrets Act 1911 meant she was suspected of spying. She was not thought to have been working for any of the intelligence agencies but the arrest is based on MI5 information, BBC security correspondent Gordon Corera said.